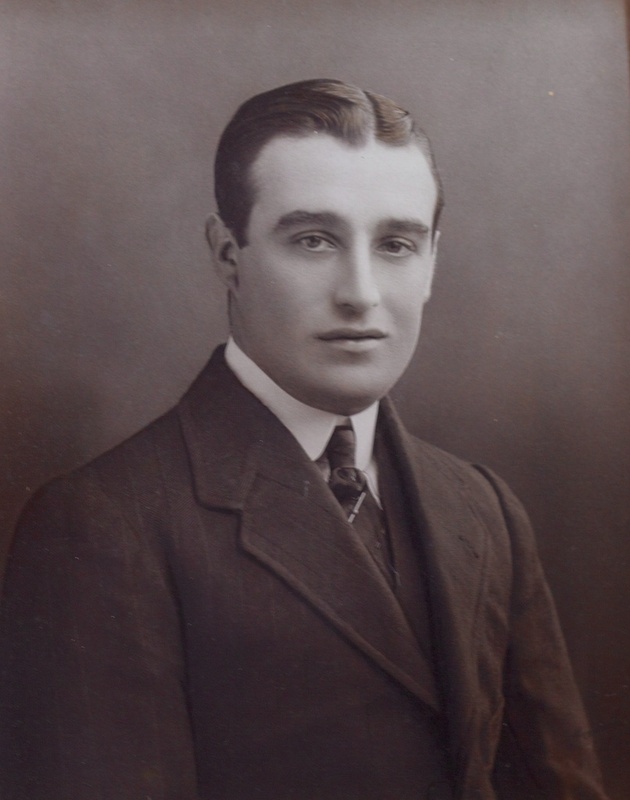 Joe was born in Holwell in 1894 and lived at Holwell Lodge, just north of the village. His father, Thomas, was a farmer and his mother, Selina, had 6 other children. 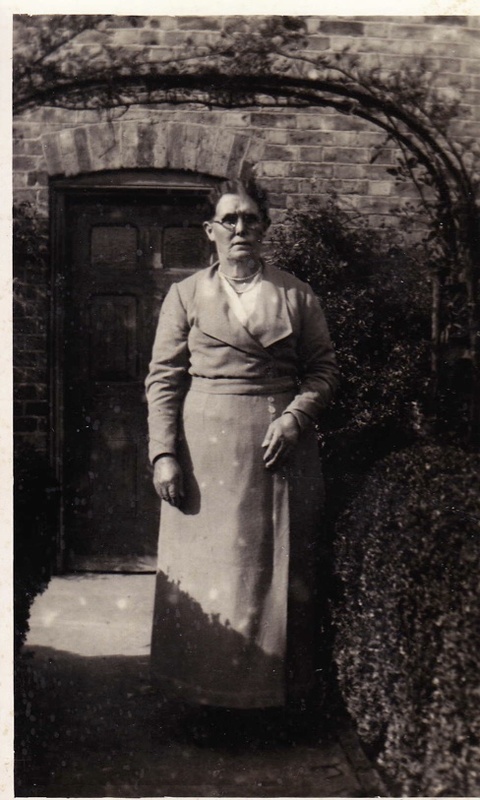 In 1911, at the age of 17, Joe was still at Holwell Lodge, working on the farm, eventually managing it for his mother. He was reportedly a good runner, winning prizes in local races. 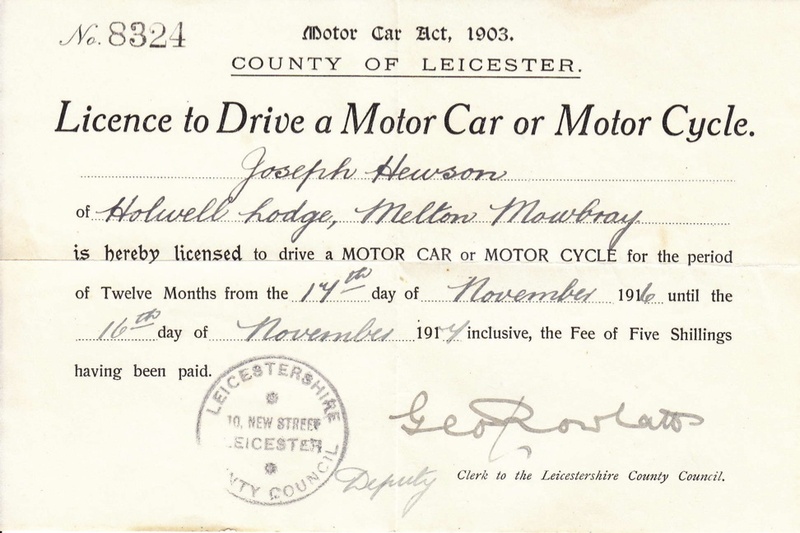 On 17th November 1916 he obtained in New Street, Leicester a licence to drive a motor car or motor cycle. This licence was valid for just one year and he paid the fee of five shillings. 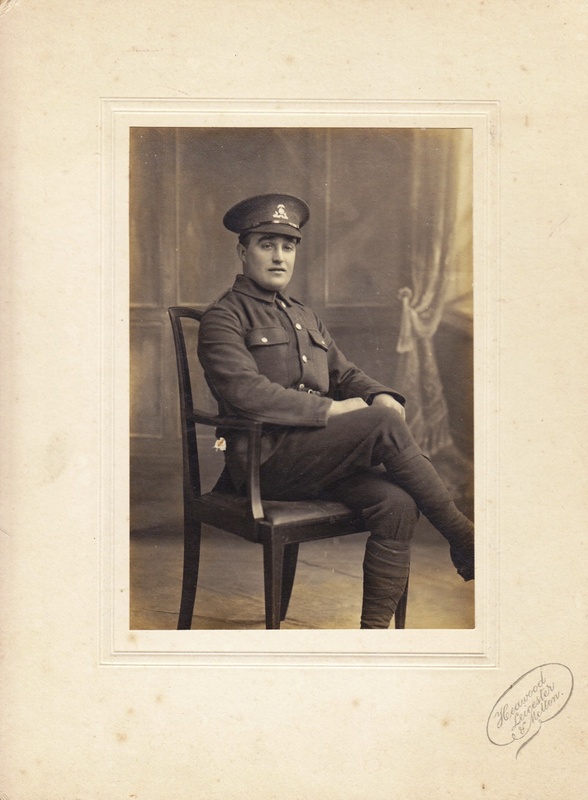 Joe joined the Sherwood Foresters (Notts and Derby Regiment) on 1st December 1916. He was cousin to Joseph Hunt, also from Holwell and who died in the War. On 19th December 1916 he wrote a letter home from Brocton Camp in Staffordshire, one of two huge training camps on Cannock Chase. He mentions a bike, so perhaps this is a motor cycle for which he bought his licence. 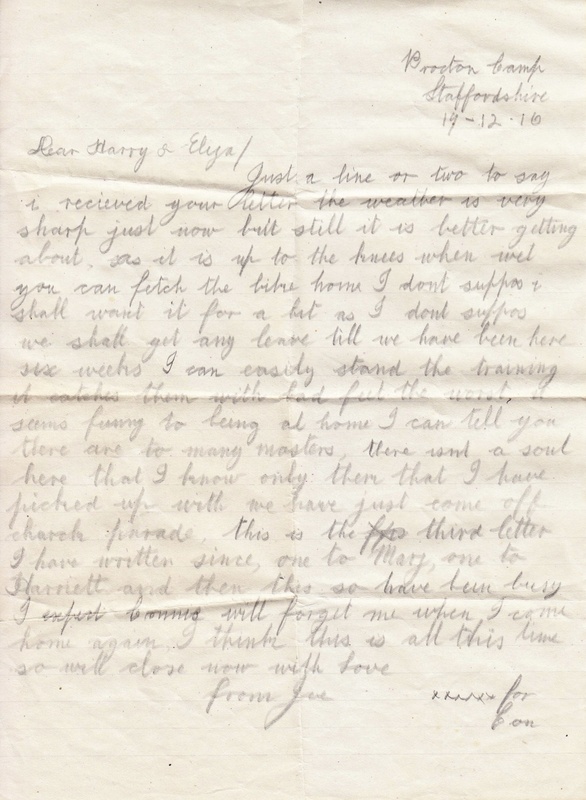 He also says he has written to Mary Hill, to whom he was by then engaged. 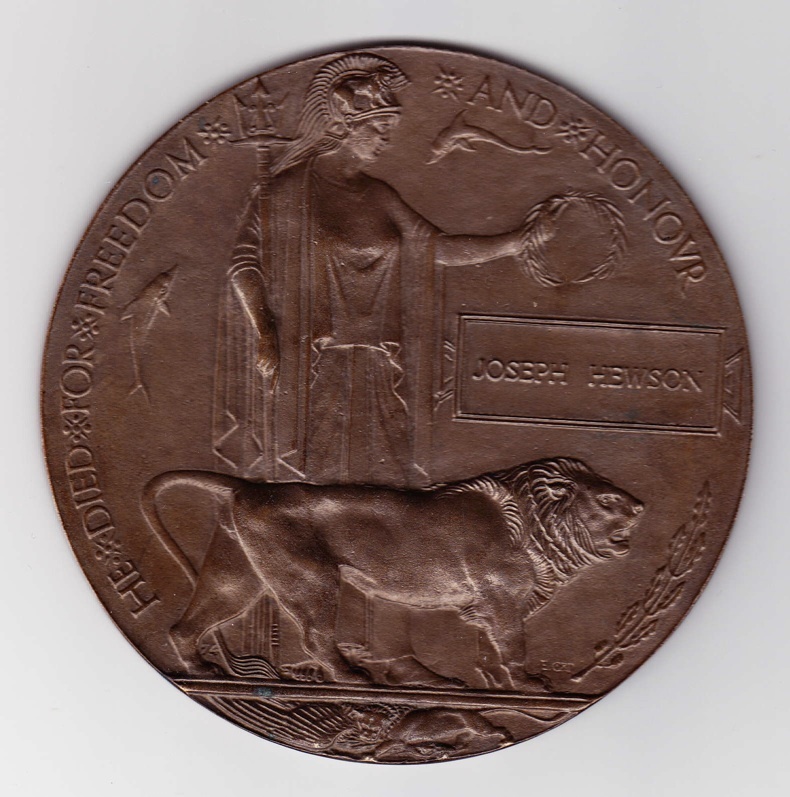 80060 Private Joseph Hewson died of wounds on 18th April 1917, aged 23, less than 5 months after he joined up. He was shot at night while getting water during the Battle of Arras. He is buried in the Tilloy British Cemetery, Tilloy-Les-Mofflaines. His older brother, Henry, named his first son born in 1927 Joe, in his memory. Joe now lives in Main Street, Eastwell with his wife Lois and he still has the wristwatch Joseph was wearing when he was killed. Henry’s granddaughter, Judith, also now lives in Eastwell. Joseph’s younger brothers, David and Arthur each had one son. David’s son, Bill, still lives at the family farm at Holwell Lodge. Arthur’s son, Ray, now lives at Home Farm, Eastwell.